ГлавнаяМорское ЧтивоShip NavigationMust KnowWhat Are The Duties Of A Ship’s Lookout? 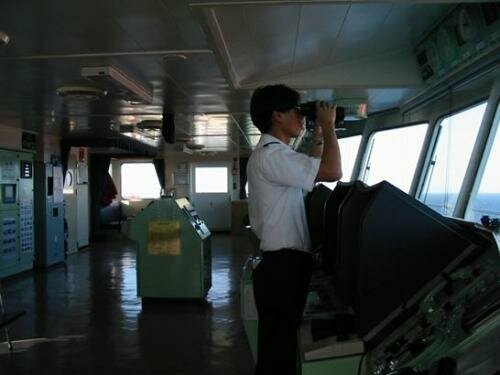 A lookout is a person at the ship’s bridge who maintains a continuous watch of the sea to report any kind of hazard that can be an obstacle in the navigation and cause harm to the ship. According to COLREG, a lookout is required to give his uninterrupted attention at all times to the ship’s navigation in order to inform the officer on watch (OOW) about other ships, shipwrecks, debris, floating objects etc. Though the job might sound simple, the duty of a lookout is a responsible one and should be taken with utmost seriousness. Lookout helps in carrying out the duties of the officer on watch (OOW) more efficiently. The lookout should remain at his position at all times until he is relieved from his duties. On relieving, he should provide all the information to his reliever about things that he has reported. The job of lookout is mostly carried out by Able Seaman (AB) or Ordinary seaman (OS) of the ship. However, it is to note that the lookout duties cannot be shared with other works. Today, the job of a lookout is of utmost importance on ships plying in piracy affected areas.